Memento, Other Guitar Effect from Dwarfcraft Devices. 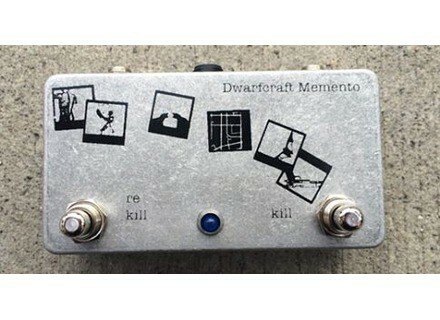 Memento, Dwarfcraft’s new stompbox, is a kill switch with an advanced memory feature. 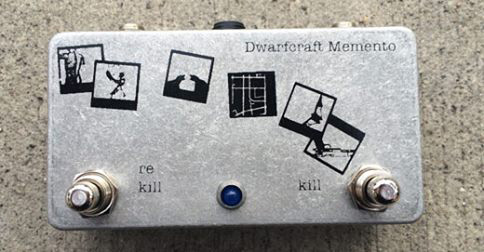 The Dwarfcraft Memento pedal features two Kill and Re-Kill footswitches. You can use it as a standard kill switch, but thanks to its built-in memory, the pedal will memorize your kill pattern and with the use of the second footswitch, it will loop it. Plus, when in Re-Kill mode, you can use the Kill switch to double or quadruple the loop speed and then create more sound effects. As for all the Dwarfcraft pedals, Memento is built in the USA. A British Fuzz in limited edition at Keeley’s Keeley Electronics announces a limited edition of its Black Glass British Fuzz, with only 150 models available worldwide. Daredevil introduces the Nova Fuzz pedal Daredevil adds to its stompbox catalog the Nova silicone fuzz pedal, which is hand made in Chicago. The BluGuitar AMP1 available this Fall Thomas Blug announces that its AMP1 guitar amp pedal has entered production and is available for pre-order for a special price.